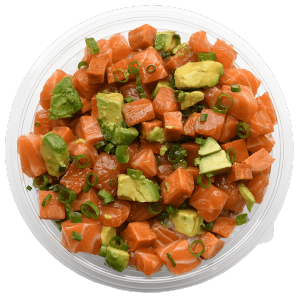 Freestyle Poke is committed to serving fresh, healthy and sustainable seafood from our partners at Wild Fish Direct. Our Yellowfin Tuna is sustainably caught by handline in the Philippines. Monterey Bay Seafood Watch rates Tuna from the Central and Western Pacific as a “Best Choice”. 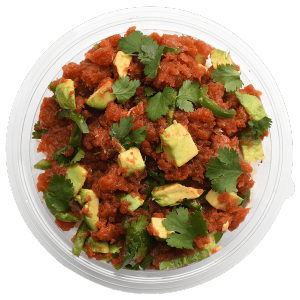 On occasion we will also source Hawaiian Longline Tuna which carries a “good alternative” rating” from Monterey Bay Seafood Watch. 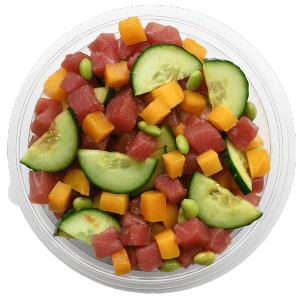 Freestyle Poke is committed to serving fresh, healthy and sustainable seafood from our partners at Wild Fish Direct. Our Verlasso salmon is sustainably-raised in the one of the southernmost farms in the world- in some of the purest and coldest waters in the world. Our salmon are fed a special diet with a fish-fish-out ratio of <1:1. These pristine conditions and sustainable practices result in a higher omega-3 content, clean flavor, and a firm marbled flesh. Hormones are never used to grow our fish and are always harvested at a smaller size to ensure the health of the population. No preventative antibiotics are ever used and our salmon has no antibiotics at harvest. The nets and enclosures contain no copper anti-foulants and they’ve never used organophosphates on their farms, ensuring the least amount of disruption to the environment. Verlasso is rated a “GOOD Alternative” on Monterey Bay Seafood Watch. 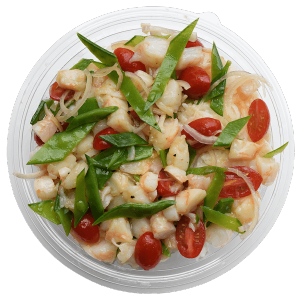 Freestyle is committed to serving healthy, wild caught and sustainable shrimp from Premier Gold. Our Shrimp are wild caught in the in the Gulf of Mexico and harvested in such a way as to protect and reduce bycatch. Wild Caught Gulf of Mexico is a sustainable resource and has a good alternative over farm raised shrimp from Southeast Asia as declared by Monterey Bay Seafood Watch. Wild Caught Shrimp feed on a natural diet of plant life and small fish. Premier Gold Wild Caught Shrimp are also never treated with any chemicals. 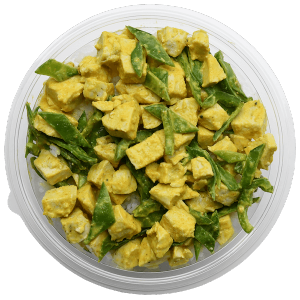 Freestyle Poke committed to serving healthy, cage-free chicken from Red Bird Farms. Our chickens are raised locally in the Midwest (Colorado), in a controlled and natural environment while being fed a vegetarian diet. 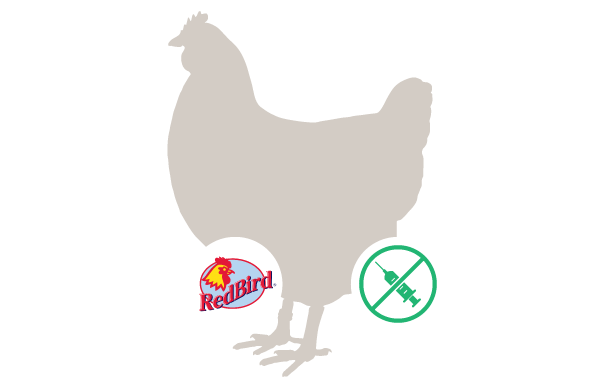 The chicken are NEVER given antibiotics, hormones, or steroids. Our entire menu is Gluten free. Our menu is also Dairy free. (with the exception of our ice cream). Our fish and shrimp are responsibly harvested and sustainably raised WITHOUT any antibiotics, hormones or steroids. 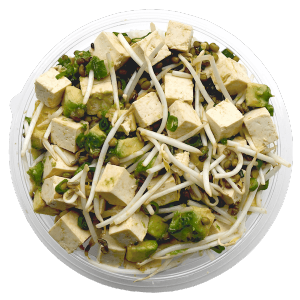 We use cage-free chicken that is raised WITHOUT any antibiotics, hormones or steroids.